As children, we are taught to dream big. We’re encouraged to shoot for the moon and to reach for the stars. Anything is possible. So, why should adulthood be any different? 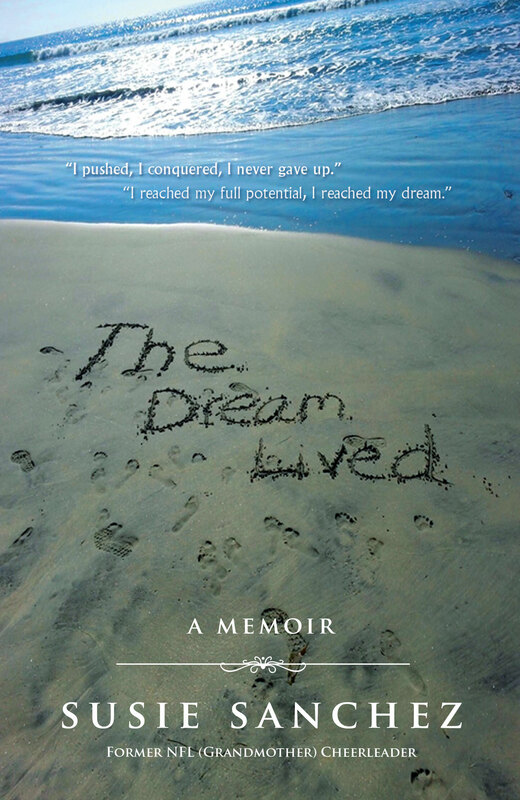 In her memoir, The Dream Lived, Susie Sanchez captures the essence of life through the pursuit of a dream. Defying all odds, Sanchez, a lifelong dancer, perseveres through the trials and tribulations of balancing family life with dance life as she dreams of performing on a grander scale. Whether she’s teaching dance to neighborhood children, helping raise her granddaughter, or achieving success as a Professional Cheerleader in the NFL, Sanchez embraces each and every experience, and aspires to positively impact everyone she meets throughout her incredible journey. Through the best of times and the worst of times, Sanchez’s heartfelt account leaves you wondering what’s stopping you from chasing after, achieving, and living your dreams.